Sometimes, the most honest criticism comes from your friends who love you. I love PokerStars. I love what they’ve always done and what they continue to do to promote poker. Having developed relationships with numerous PokerStars employees over the past few years, and – more specifically – having recently been treated to an incredible PCA junket, I can’t help but appreciate and applaud how fantastic a company it is. Nonetheless, as I’ve illustrated in the past, I’m not above leveling criticism where it’s due. Unfortunately, now, I once again feel that it’s due. Why Ruin Something So Beautiful with Something Rotten? All eyes are rightfully and gleefully on New Jersey right now, where PokerStars has finally reentered the US market almost five years after ceasing US operations. Everyone working in the poker industry wants them to succeed, including their competitors. 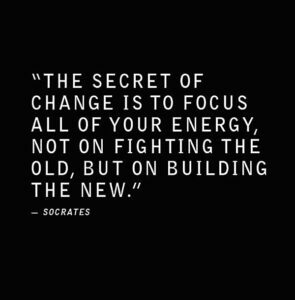 After all, a rising tide lifts all boats. Media coverage of yesterday’s launch has been and will continue, befittingly, to be positive. It was, indeed, a landmark day. 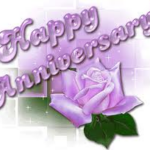 I’d also like to take this opportunity to add my own congratulations – way to go! I wish PokerStars much continued success in the Garden State. But when I read that PokerStars decided in favor of rake increases in its shared liquidity market, it deeply disturbed me. Why pollute such a great brew with a few drops of toxicity? That the announcement was made on the same day as the PokerStars NJ launch just didn’t sit well with me and doesn’t give off a good vibe. While I doubt that there’s any direct correlation whatsoever between the New Jersey launch and the shared liquidity markets rake hike, it appears to the casual observer as though the company is trying to mask a rotten smell with loads of sweet perfume. Moreover, instead of March 21st, 2016 solely being remembered as “PokerStars US Comeback Day,” now there’s an asterisk; it’s also “PokerStars Rake Increase Day.” How unfortunate. 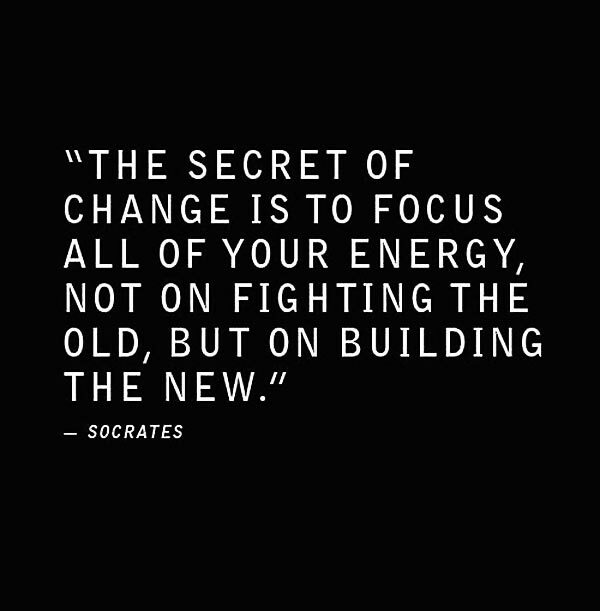 If you’ve already settled on what’s to be an unpopular decision and are going to be delivering bad news, I say: Be bold, own it, and don’t attempt to downplay it. Beyond details of the rake increase announcement, the PokerStars corporate blog post also included data referencing the rake rates of other online poker rooms. Ostensibly, one could reason that there’s some sense in doing this, for the truth is that (according to that data) PokerStars is still the most inexpensive place to play poker online. Why not just come out and say “we’ve decided it was necessary to raise overall online poker rake by approximately 4% due to increased (e.g.,) promotional costs, personnel costs, regulatory costs, etc. ?” I might not have an MBA or understand big business, but as a consumer I understand the value of honesty and transparency. Ironically, by referencing their competition in the first place, PokerStars de facto groups itself together with organizations that it’s outperforming by leaps and bounds. To point, let’s just say that there’s a good reason that WWE programming never makes mention of TNA. I know we’re not living in the poker boom years anymore. 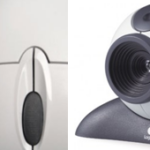 Over the last decade, the online poker landscape has changed immensely. Even the world’s largest online poker company (estimated 71% market share) is experiencing heretofore unheard of setbacks, as operating in regulated markets – as opposed to the “Wild West” of yesteryear – is increasingly costly. 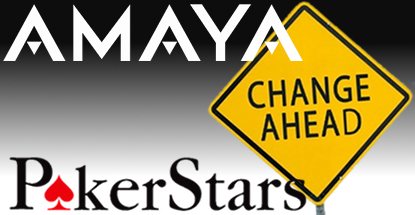 According to Amaya’s 2015 earnings report (a conference call webcast presentation is available here), PokerStars saw a decline (5%) in their poker revenues for the first time ever last year. The company also spent almost $19 million in lobbying efforts worldwide (close to half of that in the U.S. alone) to work on getting online poker legalized and regulated in additional jurisdictions, which, if successful, would paradoxically lead to them paying additional taxes. While times might be tough, I’d hardly call them “desperate.” In fact, PokerStars’ parent company impressively managed to wipe away $569 million worth of its debt last year. They’ve also got plenty to be happy about and proud of in terms of the performance of their online casino and sports betting products, which experienced a 860% year-over-year growth and accounted for almost 13% of company revenue in 2015 (vs. 1.4% in 2014). Altogether, revenues increased by almost $107 million at Amaya last year. Why is a PokerStars Rake Hike So Deeply Disturbing? With all of the above said, what bothers me the most about PokerStars’ rake increase is neither its magnitude nor the circumstances under which the announcement was delivered, but rather the fact that the company still felt the need to make such a move in the first place. 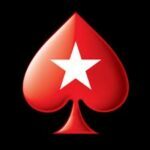 From CEO David Baazov on down through the 2,000 or so PokerStars employees, there’s a lot of brilliance behind that Red Spade we know and love. I find it deeply disturbing that all of that brainpower and creativity couldn’t resist raising revenues by going after the “softest target” and raising rake, even if that measure was meted out with surgical precision so as to minimize damage and fallout. I understand that a public company is mainly accountable to its shareholders, and that profits represent the bottom line. Yet, there’s also something to be said for being accountable to clientele. Quite frankly, at this point, it just feels as though PokerStars has dipped into the well of players’ pockets one too many times. 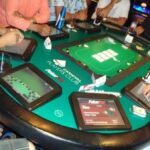 I didn’t pen this op-ed from the vantage point of a stereotypical “cantankerous online reg, who won’t be satisfied no matter what PokerStars does.” Furthermore, since I’m not a PokerStars employee, I don’t have an obligation to “toe the company line.” I publish this essay, and the following appeal as a recreational poker player/fan and fellow promoter of the game. I’d like to call for a 1-year moratorium on PokerStars rake increases. The path towards increasing company revenues is clear. Dear PokerStars, you’ve done so much for the game of poker. Please step up once more. 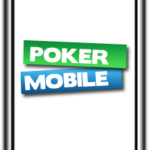 This Coming Sunday on PokerStars – Largest Online Poker Tournament in History! 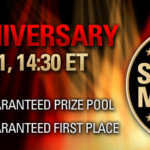 PokerStars' Sunday Million Celebrates Sixth Year this Sunday! 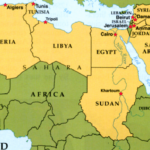 Cardplayer Lifestyle takes a look at online poker trends in the Arab world. What we found might surprise you.